Welcome to our cricket page where you can find the best service that's out there. Our growing reputation translates directy into great products and prices with support on everything we supply. Our kit range is second to none and if you want something different, we can design and supply customised tops and trousers. That extra bit of class is just a call away and for prices that compare with high street retail. Why not have your team stand out from the crowd?. Need some extra width in the clothes? Then look no further. Bespoke design of tops and trousers is our speciality and we'll take the time and trouble to make sure everything fits. Players are all shapes and sizes and one size doesn't fit all. If you need some help, we will come out to discuss everything from sizing, printing to embroidery. We can even design your very own logo for you. 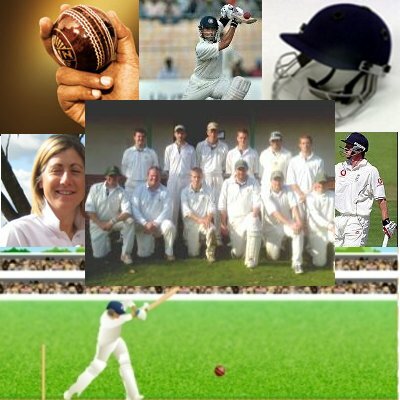 Our products include bats, balls, gloves, padding, clothing, helmets, bags, stumps and soft ball cricket equipment. Our regular customers include clubs, schools, colleges and universities because we know service counts. Contact us.